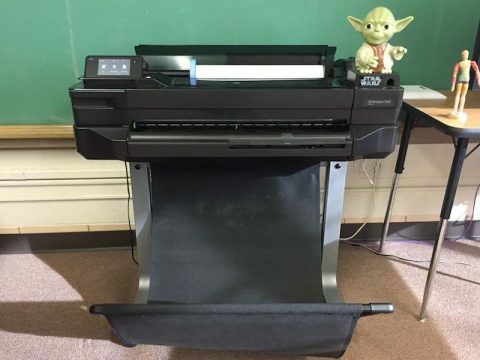 Guarded by the sacred Yoda statue is the HP Design Jet T520 24in wide format printer. With it, we can print documents up to 24″ wide by 36″ long. To have a document turned into a poster send an email to helpdesk@kentoncityschools.org and attach the document you would like to be printed (PDF”s preferred), number of copies, and size. Also if its time sensitive. 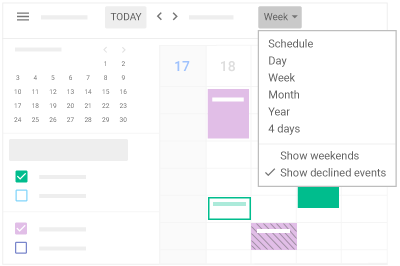 Google is rolling out a new interface for Google Calendar. 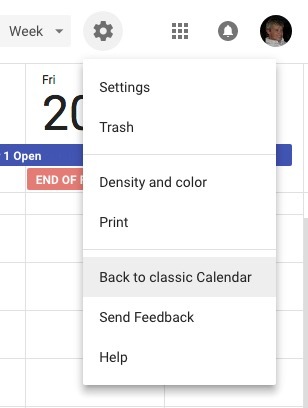 Google Calendar is currently set to default to the classic calendar, with the new calendar an option. If you would like to check out the new calendar, there is a blue button rolling out to users that will allow you to Use new Calendar. Clicking on the Use new Calendar button will give you the new Google Calendar interface. To revert back to the old interface, click the gear icon in the upper right and select Back to classic Calendar. The classic calendar will be available until February, at which time the new Google Calendar interface will become the default and the classic calendar will no longer be available. For more help with the new Google Calendar, check out the help page from Google. Anyway, I’ve had several questions about student management, especially with shared students. If you can’t add a student, that student may be already be registered in another class. On the right side, click on Share students. 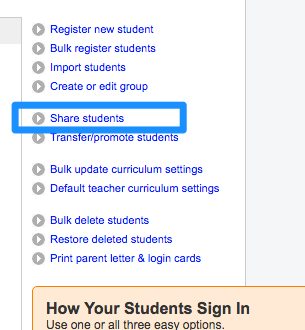 You can share your students with another teacher under From your roster to another teacher. Under To your roster from another teacher you can see the students registered with another teacher, and add them to your roster. Math Inventory has been having some issues with students not being able to complete tests, so I dug into it to see what the problem was. Apparently, SMI requires Flash to be unblocked. What is happening is that after approximately 5 questions, SMI provides audio feedback to the student. This audio is delivered with Flash, but if Flash is blocked, the window just sits there. To fix the issue, the student has to unblock flash. 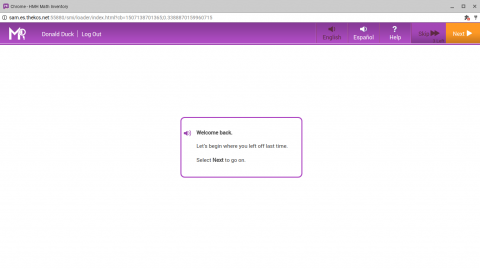 Once the student logs into SMI, they are greeted with a welcome screen. If the student doesn’t hear a woman’s voice welcoming them back, then Flash is blocked and SMI will freeze on the student. Click on Run all plugins this time, and the student will now hear the woman’s voice. From this point forward, the student won’t have any problems with SMI pausing or freezing.